Examples of antique spun cotton ornaments. 1/24/10 I’ve received a couple of very nice notes from Connie Johnson, that included two additional book titles and an excellent website address. Thank you Connie for sharing! I’ve added Connie’s information to this post and ordered both of the books that she recommended. You have probably all noticed that there is very little information about spun cotton ornaments in print. I have been hunting for books and magazine articles on the topic for many years. Here is a list of the information and photographs that I have found. I’ll be updating this post when I come across new material. Almost all of the following books and magazines are out of print, but you may still be able to find copies with a little work. In the Time-Life book there is a tantalizing mention of “American ladies’ magazines of the period” that gave instructions for creating cotton ornaments. I have yet to find any such instructions, but I haven’t given up the search! 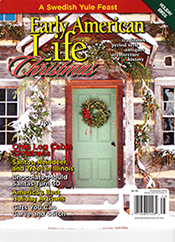 American Country- A Country Christmas by Time-Life Books, pages 146 & 147. Three paragraphs of information and two great photographs of antique people, animal, fruit and vegetable ornaments. Country Home An Old-Fashioned Christmas by Meredith Corporation Books copyright 1992, pages 92 & 93. Four paragraphs of information and two nice photographs of people, animal, fruit and vegetable ornaments. Deck the Halls – Treasures of Christmas Past by Robert M Merck. 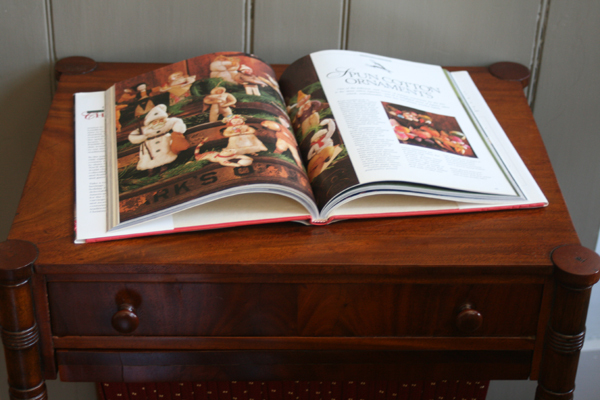 Six pages of spun cotton ornament photographs with captions. Christmas Past by Robert Brenner. Eleven pages of information and photographs. 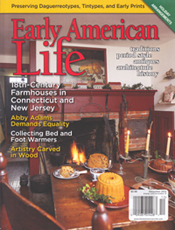 Early American Life, December 2001, cover plus pages 34 & 35. Article – A Spirit of Stewardship The Conant Tavern by Gladys Montgomery Jones, photographs by Craig Becker. 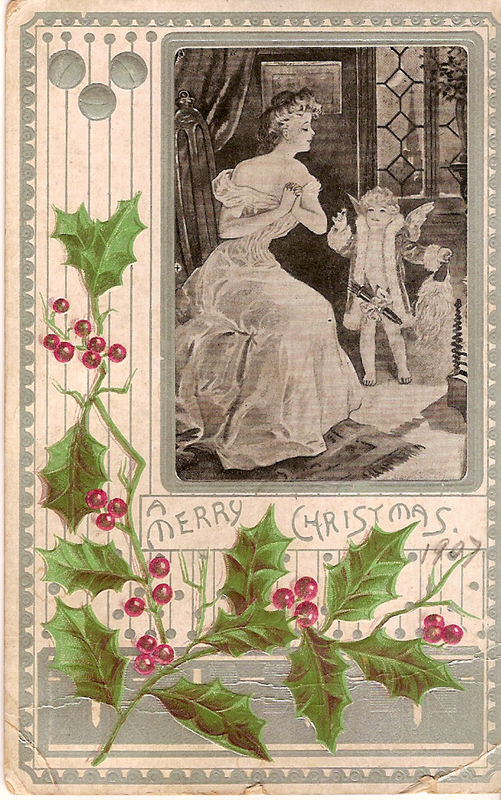 Cover photo, plus two additional photographs of people, vegetable and fruit ornaments. 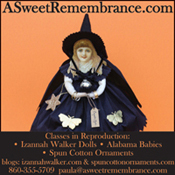 If you happen to read my Izannah Walker blog too, you may recognize this same article listed there because there is a photograph of an Izannah Walker doll in it. Obviously Dianne and Arnie Halpern, whose home is the focus of the article, are my kind of people! 🙂 They even have some of the original stencilling remaining on their walls. Early American Life, Christmas 2005, pages 63, 64 & 65. 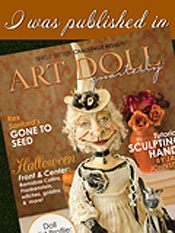 Photographs of new spun cotton ornaments in the Directory of Traditional American Crafts – Holiday. My ornaments are the ones pictured on pages 64 & 65. Early American Life, Christmas 2008, page 10. 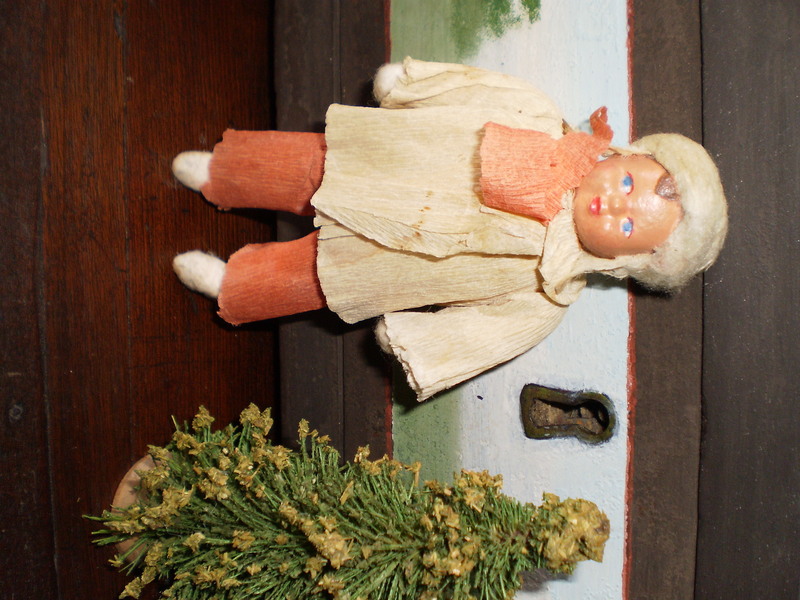 Photographs of two spun cotton girls, along with many other antique ornaments. 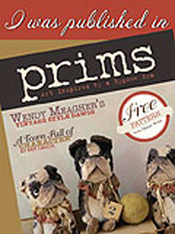 Pages 52 & 67, photographs of several new spun cotton ornaments in the Directory of Traditional American Crafts – Holiday. Early American Life, Christmas 2009, pages 7, 8 & 9, excellent close-up photos of 16 antique spun cotton ornaments. 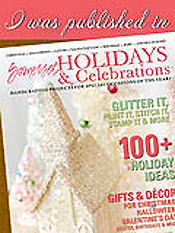 Page 59, photo of five new spun cotton ornaments in the Directory of Traditional American Crafts – Holiday. This is another magazine that may look familiar to followers of www.izannahwalker.com. 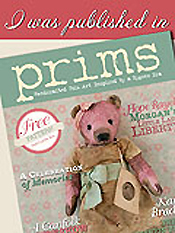 It’s the same issue of Early American Life that my article on Common Linen Dolls appears in. * A new website to check out www.christmas4ever.com/folder/13.html . Thank you Yvonne for recommending it! Here are some highlights of the New Milford Historical Society Museum’s Three Hundred Years of Christmas Traditions exhibit. I thought you might all like a little extra dose of Christmas inspiration. 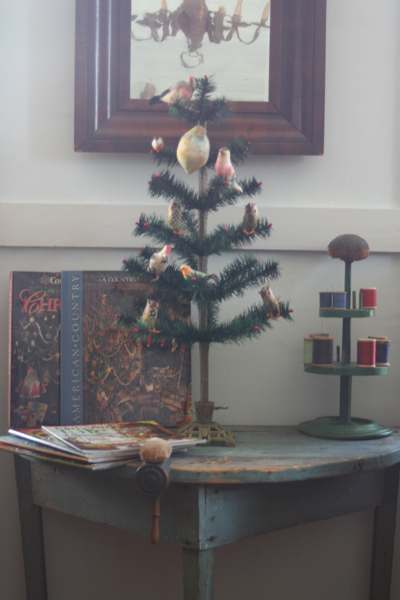 Make sure that you check out the antique spun cotton ornaments. I snapped these photos right before I started dismantling all of the displays. The exhibit closed on December 7th so I could return all of the borrowed items to their owners before Christmas. Quick, go take a peek at this eBay auction . You have to hurry because the auction is over and the photos will disappear soon. 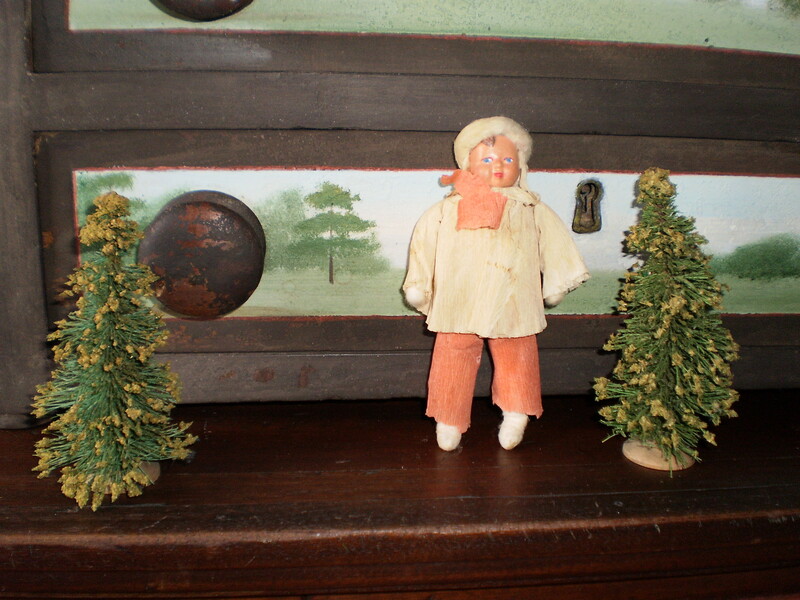 This is a great antique ornament. 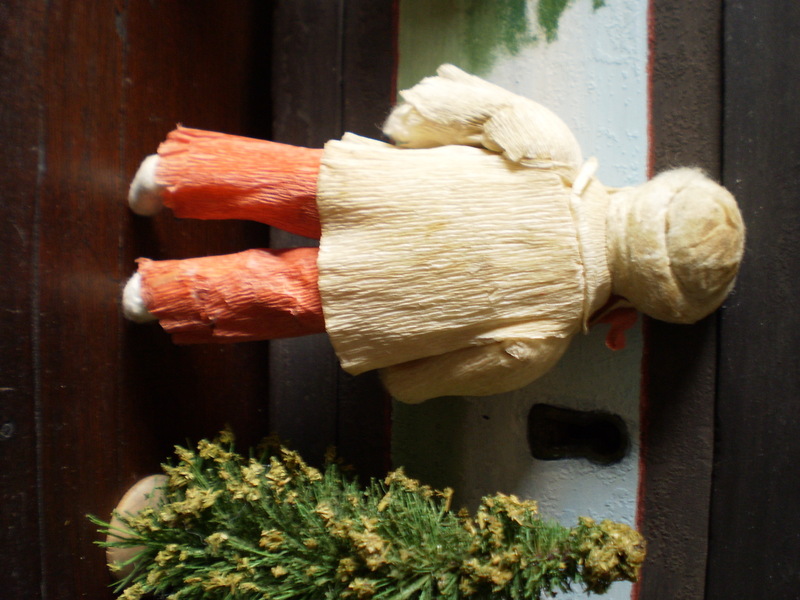 It is a small boy, heavily bundled in warm winter clothing, riding on a flying goose. I thought this was a terrific idea, why not double up your spun cotton ornament figures by making both an animal and a person and arranging them together in an action pose? Ok, admittedly this would be twice the work, but look at how wonderful they are together! I think this one is a keeper for the idea file.